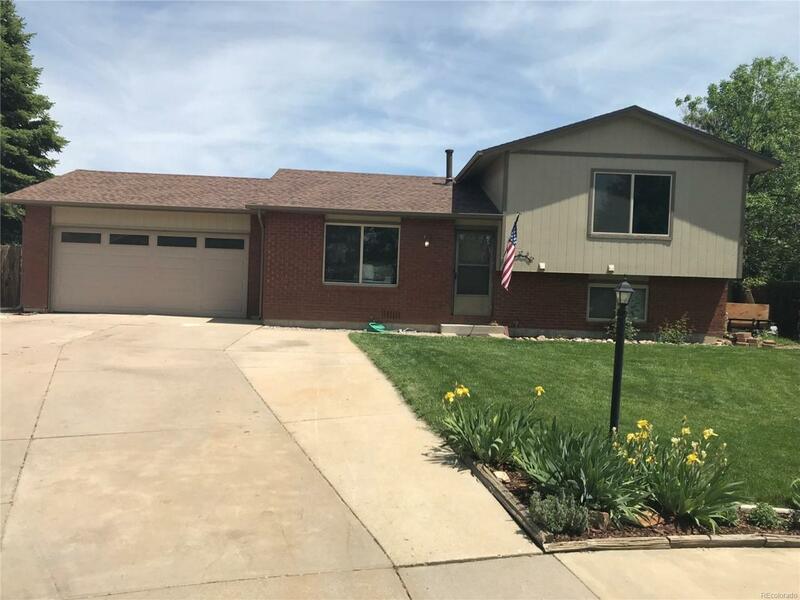 Great property in South West Loveland. Beautiful 3 bed 2 bath Tri-Level home with open floor plan and vaulted ceilings. Large lot on a quiet Cul-De-Sac provides a quiet atmosphere. Cozy family room in lower level. New interior paint, flooring, kitchen, and basement bathroom. Attached 2 car garage. Would be a great starter or investment property. Enjoy the spacious backyard with mature landscaping and fir pit. Kitchen appliances, garage heater, wood burning stove, and storage facility included.